Less than a week after two Chinese companies agreed to buy Saab, potentially saving the brand from bankruptcy, the automaker has lost its head of manufacturing and purchasing, Gunnar Brunius. Brunius is leaving Saab after 30 years with the automaker to join the aircraft components manufacturer Volvo Aero AB, which is based in Saab's home city of Trollhatten, western Sweden. Brunius' resignation comes at a time when Saab must rebuild relations with components suppliers as it seeks to resume production, which has largely been halted since April when the automaker ran out of money to pay partsmakers. Lars Holmqvist, CEO of CLEPA, the European automotive suppliers association, said the loss of Brunius would make the task of relaunching production more difficult because Brunius "knows the company inside out and he is respected." Holmqvist told Automotive News Europe that "it would have been better for the moment quite clearly" if Brunius had stayed. The supplier group boss said his members are willing to work with Brunius' successor to help restart Saab output. "If we are paid what they owe us and they are prepared to pay cash, we would like to help them get back on their feet," Holmqvist said. 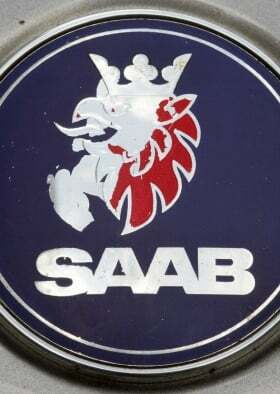 Suppliers are owed more than 150 million euros, which Saab's administrator has said the new owners aim to honor in full. Saab said the role held by Brunius will be split between Goran Ejbyfeldt, who will assume responsibility for manufacturing on top of his current role as executive director of quality, environment and IT, and Kjell-Ake Eriksson, who will assume chief responsibility for purchasing duties while continuing his role as executive director of purchasing. 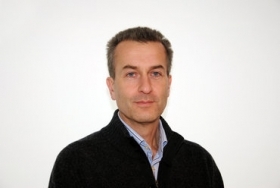 Brunius, 50, began his career at Saab in the body shop in 1981, before moving to the paint shop as a project engineer and eventually manager. In 2006, he was appointed head of Saab's assembly plant. Brunius, pictured, is well liked by Saab suppliers. Chinese groups Pang Da Automobile Trade Co. and Zhejiang Youngman Lotus Automobile Co. have said they will invest more than 500 million euros ($709 million) in Saab after agreeing to buy the former General Motors Co. brand for 100 million euros from current Dutch owner Swedish Automobile NV. Saab aims to restart production by early next year and targets sales of 35,000-55,000 cars in 2012 and 75,000-85,000 in 2013. Its long-term annual volume outlook is 185,000-205,000 cars. The new owners aim to reduce structural costs by 1 billion Swedish crowns ($157 million) and reduce the headcount by 500 employees. Saab employs about 3,400 people at its plant in Trollhattan.